CaribPR, NEW YORK, NY, Mon. 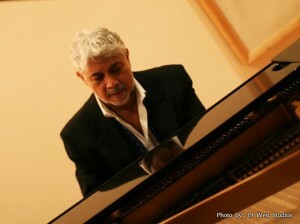 Dec. 23, 2013: On the heels of his London Jazz Festival performance, Grammy-nominated international jazz pianist, the legendary Jamaican-born Monty Alexander, will catch a good case of the “blues” beginning next week and lasting into January 2014. Alexander, who is gearing up for the release of his “Harlem Kingston Express 2,” next year, will begin the “blue-bration” with his annual holiday performance at the legendary Blues Alley in Washington, D.C., from December 27th through the 31st. Blues Alley has earned rave reviews globally for showcasing internationally renowned concert hall artists in a small intimate setting and for the past two years, Alexander has been the act booked to ring in the New Year. Tickets for this show are in demand so book early. Show times nightly will be 8 and 10 p.m. For a full schedule of Alexander’s performance and to book advance tickets log on to http://www.bluesalley.com/events.cfm. The New York performance at the legendary jazz club will run from January 13th for one night only before returning for six consecutive nights, from January 21st with vocalist, Caterina Zapponi & the Pizzarellis on guitars and bass and John Clayton and Jeff Hamilton from the 22nd to the 24th . All of the artists will be backed by Alexander’s Grammy-nominated band, the Harlem-Kingston Express. “A History Of Reggae,” will take the show to higher heights on January 25th and 26th and will not only feature Jamaica’s Commander of Distinction and ‘Luminary Award’ 2012 recipient, Alexander, but Ernest Ranglin, Jamaica’s Master of the Guitar and the pioneer and innovator of reggae and Jamaican music; and the new Prince of Reggae and Jamaica’s most buzzed about reggae act, Chronixx. Ranglin played guitar on many early ska recordings in Jamaica and helped create the rhythmic guitar style that defined the music form. He has worked with Jimmy Cliff, The Skatalites and the late great Robert Nesta Marley and is a known for a chordal and rhythmic approach that blends jazz, mento and reggae with percussive guitar solos incorporating rhythm ‘n’ blues and jazz inflections. In 2008 Ranglin was inducted into the Jamaican Music Hall of Fame by the Jamaica Association of Vintage Artistes and Affiliates (JAVAA). Chronixx, born Jamar McNaughton, 21, has been lauded recently as reggae’s next superstar. The first single from his “Dread and Terrible” EP, “Here Comes Trouble” recently topped the BBC’s digital urban station Radio 1Xtra chart, is in rotation on Sirius XM’s reggae channel. Alexander’s collaborations span multiple genres, styles, and generations. His projects have been as varied as assisting Natalie Cole in her tribute album to her father, Nat “King” Cole in 1991 (the resulting album, Unforgettable, won seven Grammy awards), performing George Gershwin’s “Rhapsody in Blue” under the direction of Bobby McFerrin at the Verbier Festival in Switzerland, and recording the piano track for the film score of Clint Eastwood’s Bird, a movie about the life of jazz titan Charlie Parker. In August 2000, the Jamaican government awarded Alexander the title of Commander in the Order of Distinction for outstanding services to Jamaica as a worldwide music ambassador. Two collections were released in 2011 that capture the excitement of Monty Alexander’s live performances around the world: Uplift, a trio album on JLP Records, and Harlem-Kingston Express on Motema Music. ‘Harlem Kingston Express: Live!,’ was singled out by both the recording industry and fans and received a Grammy award nomination in 2012. In the summer of 2012, Alexander was awarded the prestigious German Jazz Trophy, “A Life for Jazz” and in November 2012 he received the Caribbean American Heritage Luminary Award from the Institute of Caribbean Studies in Washington, D.C.
For more on the Caribbean’s greatest jazz pianist and his music visit www.montyalexander.com.